I was more than a little mean to Textures in my review of their last full-length, 2008’s Silhouettes, dismissing them too quickly as having a formula that doesn’t work, and focusing too much on their similarities with those other bands trying to create modern metal. Listening with kinder ears, there’s a lot of goodness buried behind those ‘core barks that I glossed over, and it’s a pleasure to hear that on new album Dualism the band have refined and enhanced their formula to the extent that the goodness once buried is now clear and obvious. Yes, the Dutch band are still heavily influenced by Meshuggah, but this has been worked so well into their sound now that it’s hard to care. Opening six-minute stomper Arms Of The Sea builds up wonderfully with post-sludge guitars and almost tribal percussion, exploding in slow-motion polyrhythms and ferocious snarls from new vocalist Daniel de Jongh, switching suddenly to waves of melodic loveliness and clean vocals that don’t annoy from the start – which is impressive enough on its own! As you listen, it becomes clear that the band have allowed the textural, atmospheric elements in their sound to take the fore over death/thrash speed, instrumental segments tying together the catchy choruses with grace and aplomb. De Jongh was a great choice for the band, being capable of intense emotion and sounding genuinely unhinged in certain harshly vocalled moments. His leadership of the band on the apocalyptic likes of Sanguine Draws The Oath is impressive, varied and powerful riffing being marshalled into a crushing intensity. Burning The Midnight Oil’s instrumental seems a bit oddly-placed in the middle of the album, but no-one could deny the high quality shown here in general. Even the shorter, filler-y likes of Black Horses Stampede have an energetic life to them that more standard bands wouldn’t bother injecting it with – a real mark of quality. Some may complain at the melodic, light and wonderfully catchy Reaching Home, which does have a bit of a recent Soilwork-y feel to it in a good way, but it shows how good Textures are at using melody to their favour. Plenty of examples of this can be found – Consonant Hemispheres starts with an almost Deftones-y but of atmospheric melody, building into foot-stomping anger in a burst of intensity. There’s plenty of heaviness to be found, however, in case you think this album is some sort of wimpy nonsense; the build-up and explosion of the near-seven-minute Singularity is quite rifftastic, contrasting well with sections of clean-vocallled prog metal complexity. Stoic Resignation, meanwhile, snarls and yelps with savageness only enhanced by the cleanly sung interjections. 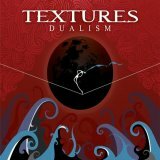 Notably as capable of handling long songs as short ones, Textures have much skill in their fingers, which Dualism more than proves. Never content to just pile riff on riff but always seeking the harder, subtler path, I was impressed by Dualism more than I expected to be. A few minor niggles aside (guitar solos would be a nice addition...) this is a very good album that anyone capable of hearing the words ‘modern’ and ‘metal’ in the same sentence without wincing will enjoy a lot.